SoFi’s low interest rates and dedication to customer education make it a top choice when it comes to getting a personal loan. 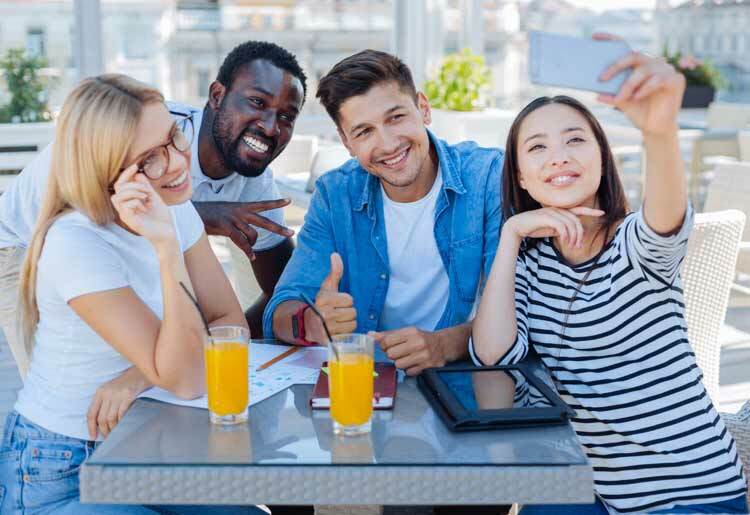 It’s an excellent alternative for young professionals who are looking to build their credit through responsible borrowing, as well as aspiring homeowners or those seeking to refinance loans with unfavorable terms. SoFi’s does more than simply offer personal loans; it presents borrowers with several options, including student loan refinancing, mortgages and mortgage refinancing, as well as personal loans and parent loans. Additionally, SoFi is committed to helping loan seekers develop skills to instill a sense of more responsible financial decision-making. The company offers wealth management solutions, private placements, and even provides market commentary and investment resources to help you understand the process and make better investing choices. SoFi also makes a serious effort to educate customers, providing a wide variety of resources designed to bolster your understanding of personal loans, personal finances, and different types of loan options. Applying for a loan with SoFi is simple, and though approval can take slightly longer than with some competitors, this is related to the company’s pledge to ensure responsible lending and transparency. SoFi’s loan amounts range from $5,000 to $100,000, although the higher amounts are reserved for applicants that have credit scores over 680. SoFi's approval process is not long, but can be expedited if you prequalify. To apply, you are required to fill out an online application, after which the company will do a soft credit pull—with no impact on your credit—and if you are approved, you will move on to a more rigorous qualification process. The online segment can be completed in a few minutes, although the full process can take slightly longer depending on your specific qualifications and credit score. SoFi offers 2 options when you are selecting a loan: fixed or variable interest rates. SoFi has impressive loan terms and a high maximum loan amount, but if you have a lower credit score LendingClub is a solid option as it accepts borrowers with credit scores starting at 600. When comparing SoFi and LendingClub there's not much in it when it comes to minimum APR but SoFi pulls ahead with a very low maximum APR, offering very attractive loan terms overall. SoFi does not charge any fees for origination, closing, or prepayment. Also, as of April, 2019, SoFi does not charge late fees on personal loans. Fixed rates from 6.79% APR to 16.24% APR (with AutoPay). Variable rates from 6.54% APR to 14.95% APR (with AutoPay). SoFi rate ranges are current as of January 18, 2019 and are subject to change without notice. Not all rates and amounts available in all states. See Personal Loan eligibility details. Not all applicants qualify for the lowest rate. If approved for a loan, to qualify for the lowest rate, you must have a responsible financial history and meet other conditions. Your actual rate will be within the range of rates listed above and will depend on a variety of factors, including evaluation of your credit worthiness, years of professional experience, income and other factors. See APR examples and terms. Interest rates on variable rate loans are capped at 14.95%. Lowest variable rate of 6.54% APR assumes current 1-month LIBOR rate of 2.51% plus 4.28% margin minus 0.25% AutoPay discount. For the SoFi variable rate loan, the 1-month LIBOR index will adjust monthly and the loan payment will be re-amortized and may change monthly. APRs for variable rate loans may increase after origination if the LIBOR index increases. The SoFi 0.25% AutoPay interest rate reduction requires you to agree to make monthly principal and interest payments by an automatic monthly deduction from a savings or checking account. The benefit will discontinue and be lost for periods in which you do not pay by automatic deduction from a savings or checking account.